The Islamic calendar is a lunar calendar, which means it's based on the moon. World most countries use the Gregorian calendar (a solar calendar based on the sun), so the dates of Ramadan change each year. Ramadan begins each year when the first sliver of the crescent moon (waxing crescent moon following a new moon) appears in the ninth month. One of the primary ways Muslims celebrate Ramadan is by fasting. Fasting means to abstain from food. Muslims celebrating Ramadan only eat when it's dark outside. From sunrise until sunset, they don't eat or drink anything. Fasting allows Muslims to focus on other things, such as their faith, prayer and doing good deeds for others. Fasting also teaches Muslims self-control, sacrifice and empathy for others less fortunate. Ramadan is usually marked by increased generosity and charity. Muslims pray often during Ramadan. In addition to the five daily prayers that Muslims pray each day, they also recite a special Ramadan prayer — called the "Taraweeh Prayer" (or "Night Prayer") — which is two to three times longer than their daily prayers. There is also Zakat al-Fitrah-It is religious tax/alms (Zakat) paid on the day when Muslims break the fasting period at the end of the month of Ramadan. It is usually collected per each person in the family including the baby not born yet and given to the people in need. The aim is that poor people could also celebrate Ramadan holiday along with the others. 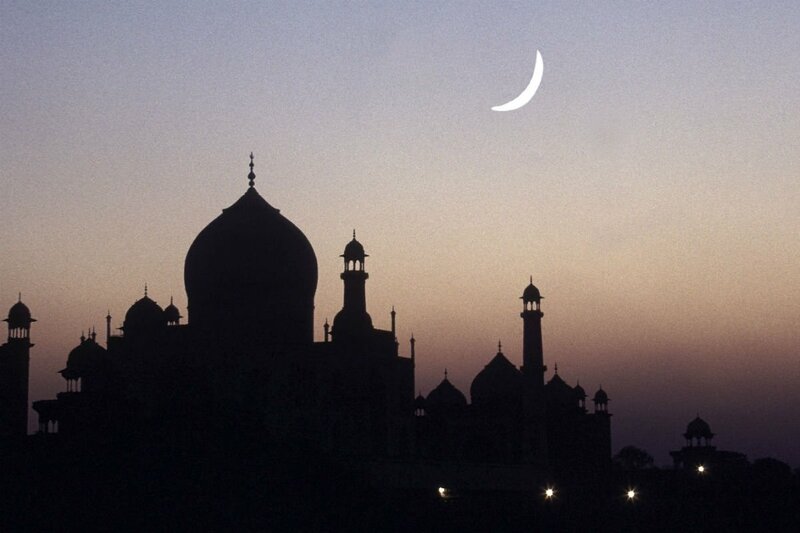 At the end of the month, Ramadan comes to a close with the feast of Eid-Ul-Fitr ("Feast of Fast Breaking"). Usually Families gather, cook meals and celebrate Ramadan.